In the course of the last few months, our friends from Stockholm-based menswear brand Asket have added two new wardrobe essentials – one garment at a time – to their permanent collection of timeless classics: The Pique Polo and The Oxford Shirt. Their classic Oxford button down shirt as well as their latest addition, a classic pique Polo, are both available in Asket’s revolutionary 15 size system. The brand’s sizing system caters to a larger variety of body shapes and a wider set of personal preferences, truly re-thinking and democratising modern garment sizing (find out more here). Last year, we introduced you to Stockholm based brand TID and their first iconic product: TID No.1. We met up with the guys at this year’s Seek Berlin to have a closer look at their new design: TID No.2 continues on the minimalistic and timeless design trajectory set out by No.1 with refined materials and details. TID No.2 features a monochromatic, solid brushed steel case, face and hands. Striving to offer quality products with genuine value over time, the robust watch boasts a domed sapphire glass and a Swiss-made movement. Price €295-345. At CIFF RAVEN, an artfully curated trade show in Copenhagen showcasing contemporary menswear and lifestyle goods, we came across these beautifully crafted, minimalistic sunglasses by BLYSZAK. The young, London-based eyewear brand was founded in 2014, and has launched its first collection comprising three variations on one style: metal, metal/horn and horn. The interesting thing about BLYSZAK is that it offers a single eyewear design that mixes coated grade-A steel, ethically-sourced Asiatic water buffalo and Nigerian oxen horn by-product. Metal – Style I – Collection I features a matte black, palladium-coated grade-A steel frame, and black UV-filtered lenses. For Him and for Her. Made in the UK. Price £210. Amsterdam based lifestyle brand CLUSE set out with the vision to create timepieces that stand for elegance and minimalism. Inspired by the notion that a watch can ’captivate and define your best moments’, the brand nicely goes beyond the traditional understanding of the watch as a mere utility enhancing object that tells time. Our pick: monochrome simplicity. Crafted with precision and a strong focus on quality materials, the La Bohème Mesh Full Black features an ultrathin case (38mm diameter), Quartz movement and a Miyota 2025 caliber. Price €99. 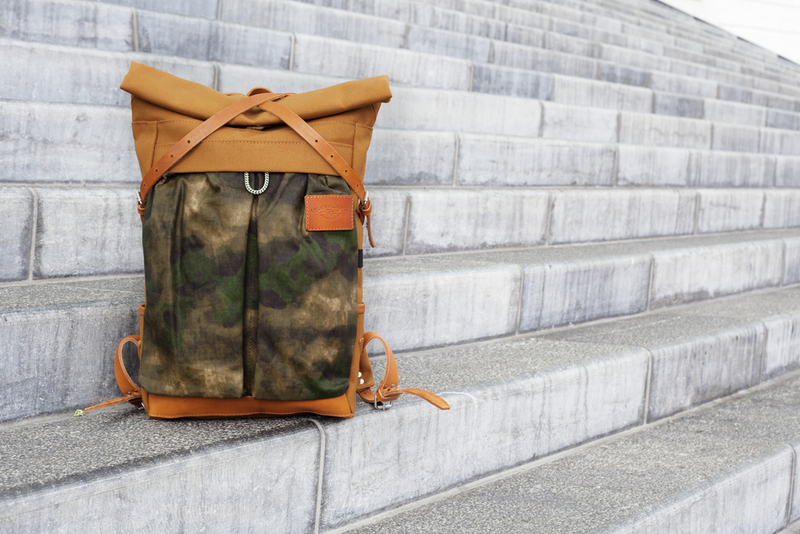 Amsterdam-based brand Atelier de l'Armée is inspired by the functionality and quality of military wear. They offer two different collections: "Series" and "Collectors". With every design in ‘Series’, Atelier de l'Armée strives to be environmentally, morally and ethically conscious throughout their design and production process. It is suitable for everyone who is confident and appreciates quality in design and craftsmanship. The Atelier de l’Armée ‘Collectors’ collection consists of one of a kind handcrafted items mainly built out of a zero waste philosophy, created by mixing high quality dead stock or repurposed materials. The ‘Collectors’ items are made in our small workshop in Amsterdam. Their SS16 collection will be available in February 2016 and can be purchased online at Mr. Porter and Atelier de l'Armée.